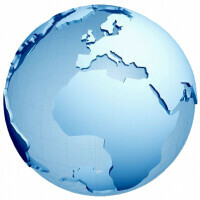 Research firm IDC is predicting that the number of globally shipped units of smart-connected devices (PCs, tablets and smartphones) will exceed 1.7 billion in 2014. Of that figure, about 1 billion will be shipped to emerging markets. Breaking that down even more, shipments to China, India, Brazil, and Russia are expected to reach 662 million units with a monetary value of $206 billion. Developed markets should account for 650 million units shipped next year. The U.S., U.K. and Japan alone will be responsible for 400 million shipped smart-connected devices in 2014, with a dollar value of $204 billion. Demand for smart-connected devices is expected to surge in emerging markets. Compounded annual growth in that region is estimated to reach 17% in the 2012-2017 time period compared with 7% in developed markets. Additionally, smart-connected device growth is expected to be led by demand for tablets and smartphones. The pair will be responsible for 1.4 billion of the 1.7 billion smart-connected devices to be shipped in 2014, according to IDC, with a dollar value of $500 billion. The slumping PC market is estimated to ship just a bit more than 300 million units next year, worth under $200 billion. With shipments up, prices are coming down. The average selling price (ASP) of a tablet fell 19% in 2012 to $426 from $525 in 2011. The ASP of a smartphone dropped from 2011's $443 to $407 in 2012. In emerging markets, IDC sees smartphones priced under $300 on average next year and tablets weighing in under $350. In developing markets, the ASP for the two devices is forecast to be $490 for smartphones and $370 for tablets. That is amazing. Such movement in practically no time.